Small acts of advocacy are all it takes to make a social movement. The #metoo movement was for the 12 years prior to last year’s Harvey Weinstein scandal a very small force for change. It wasn’t one single event that caused the social explosion. But it was when sufficient people acted in concert that it became a social movement. And it certainly isn’t just about hashtags. With the current US President’s finger firmly on the Twitter trigger, you might think It is. There are so many more voices advocating publicly for their position. That makes it even more important to make your advocacy effective, not just noisy. I’m not ruling out social media as a tool for advocating, but it’s a means, not a message. I’m going to rely instead on a Gandhian approach – ‘be the change you want to see in the world’. Advocacy increases inclusion. You can increase inclusion by using your voice within your network. By speaking out more about the importance of inclusion, you can create more inclusion. More people will feel included and more people will join you to advocate for inclusion. If you raise your voice with confidence you will be a social force for change. People will feel included and experience a greater sense of belonging. Being an advocate makes a difference, yet many leaders don’t feel comfortable advocating. Some people don’t advocate because they think that saying it once is enough. If you say it once, everyone will get it. If you’ve got or work with kids, you’ll see through that one straight away! It’s not that different if you work with adults. Another reason we don’t advocate is because we believe others are advocating, their efforts will be enough for the message to get through. It won’t make any difference whether or not I do. Still others don’t advocate because they don’t think their single voice has much weight; it doesn’t seem worth it. The harder thing that stops people advocating is that they don’t believe they can be powerful enough to make change: a social movement seems to take a lot of effort to organise without a guaranteed outcome; it all seems too much. Hannah Gadsby’s Nanette is an example of using your own story to advocate for change. Not all advocacy needs this degree of personal disclosure to be effective. 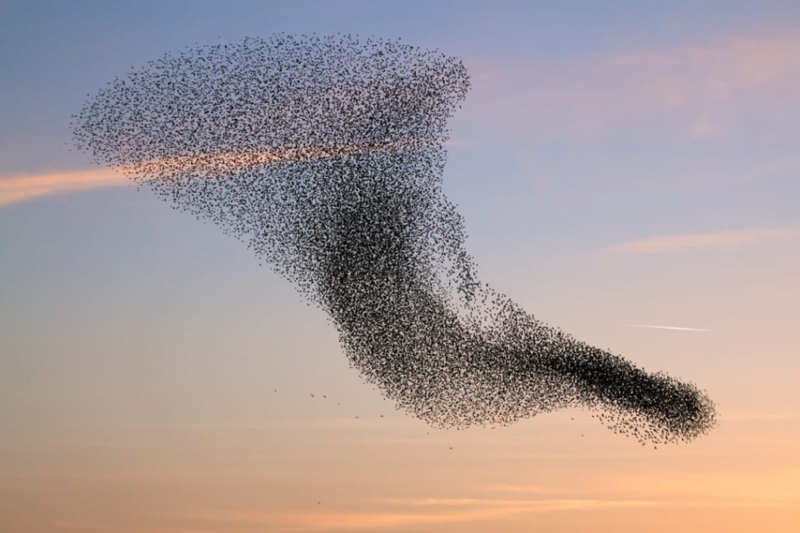 Advocacy that resonates with those around you is like a swarm of starlings, a murmuration. When the individual birds come together they create a powerful and amazing sight. The magic of it is that this happens because each bird pays attention to just seven of their neighbours. Starlings are ordinary birds, all it takes is for seven of them to pay attention to each other, to get in sync, and they create something extraordinary. Just like the starlings don’t have to influence the whole flock, don’t try to influence a crowd. Focus on seven key people around you, and magically, you too will influence a social movement. What Price Inequality? What Should We Make of Opposition to Equality?